In California it especially likes to invade riparian areas where it can form pure stands – not a good thing in a state where natural waterways are rare. In Florida it is ranked a category II invasive, that is, naturalized populations are increasing, but so far have not altered native ecosystems significantly. Still, planting it within 500 feet of native ecosystems is illegal within Miami-Dade County in southern Florida. It is also grown in Hawaii, but to my knowledge is not yet considered a pest species there. Seeds are dispersed by birds eating the fruits. Volunteer seedlings of Washingtonia robusta are a foregone conclusion when the fruits are not removed before they ripen and fall. These are growing under a parent tree in a parking lot. While the small fruits of W. filifera traditionally have been used by native people as a food source, I’ve found little reliable evidence that W. robusta has been used in a similar fashion. The fleshy part is very thin, nevertheless it is said to have a sweet flavor like a date. One thing’s certain, you’d have to be pretty hungry to want to eat these small, hard fruits. This tree has been given a number of common names, some banal, others more colorful. Mexican fan palm and Washington palm are the most common, but I prefer skyduster. After seeing a really tall one you can easily imagine it effortlessly sweeping the clouds of dirt. Another name (more commonly used for W. filifera) is petticoat palm due to the large “skirt” of dead, hanging fronds that both species can accumulate over time. This tendency to form a skirt in W. robusta is more typical in younger specimens, but once they attain some height they begin to shed old fronds within a couple years of dying. W. filifera by comparison tends to keep its skirt unless cleaned of old fronds (and the petiole bases). These skirts can attain formidable volumes and are host to all kinds of wildlife – birds, snakes, rodents, insects – you name it. This “petticoat” is also a fire hazard. 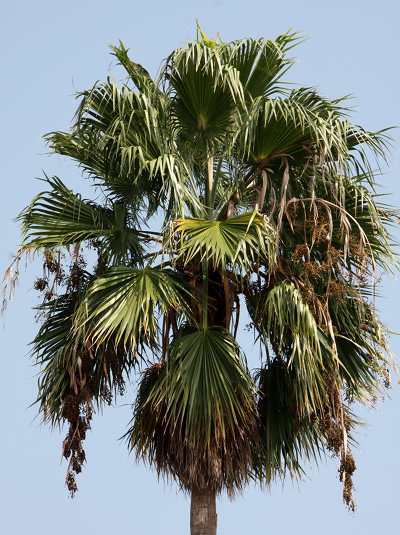 With Washingtonia robusta seed set can be very nearly 100%, making this palm a potential invasive pest. For these reasons it is necessary to remove dead fronds in urban settings or if trees are planted near residences. Municipalities spend a lot of money on cleaning and maintaining street specimens, one reason why this tree is becoming less used in urban settings, especially southern California. The reverse is true here in Japan however – each year I see more and more of them being planted along streets, in parks, and next to apartment buildings. Frond removal must be done carefully to protect the health of the tree. 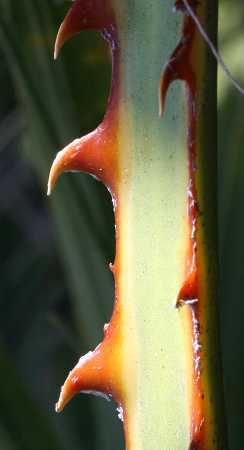 It is common practice to over prune them, leaving just a few fronds in the crown. While this rarely kills the tree, it can become a problem if done on a regular basis, since the tree may not be able to photosynthesize enough to provide adequate nutrition to the crown and adjoining trunk. Trees that are pruned this way again and again can lose vigor and the upper trunk can become spindly such that the crown dies or breaks off in a high wind. Therefore, it is necessary to leave at least 50% of the green fronds intact. The petiole bases can either be removed or left on, but ultimately they too will fall, creating a mess around the tree and are a potential hazard during high winds. This species is perhaps most remarkable for its potential height, sometimes exceeding 30 meters (over 100 feet), making it one of the world’s tallest palm species. Since it isn’t a very massive palm, ultra-tall trees have an elegant, graceful appearance, accentuated by their slightly curved, thin trunks. It is said that Florida trees are short since lightening strikes tend to take out trees that get too tall – natural lightning rods. Therefore, places like southern California where lightning isn’t as common, are best for this species to attain its highest potential (literally). The growth rate of the Mexican fan palm is one of the fastest amongst the commonly grown species of palm. In climates with sufficiently warm summers (say daily highs consistently above 25 C) established trees can grow astonishingly fast. Under the best conditions they may grow up to 1.2 meters (4 feet) per year, but are more likely to put on half that height under normal garden conditions. In cooler climates where this species can still be grown, anticipate much more modest growth. The trunk of the Mexican fan palm is ringed with close set leaf scars. Germinating W. robusta from seed is straightforward, especially if fresh seed is used. No special treatment is needed – simply plant the them in any reasonable compost that’s evenly moist, keep them in warm conditions, and within a couple weeks germination will begin. From seed you can grow a large tree in just a decade’s time, so this is one palm you may consider growing from seed rather than buying as a larger specimen, particularly if you want to have a grove of them. They do transplant well as adults, but transporting and planting costs can make that expensive. 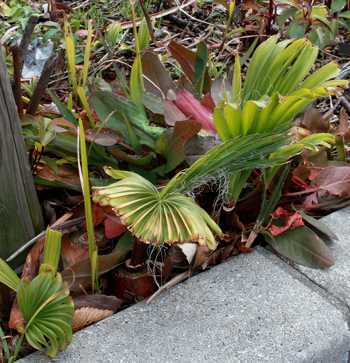 The Mexican fan palm is fairly cold hardy, especially in drier climates. Common estimates rate this palm to at least -6.5 C (20 F) with frond damage occurring several degrees higher, depending on relative humidity and soil moisture (the drier, the more cold resistant). In general W. robusta is more suited to moister climates while W. filifera is a true desert species that is more resistant to cold snaps provided conditions are dry (continuously wet cold conditions can be the death of it however). It is thought that the artificial hybrid of the two, known as Washingtonia “filibusta”, should grow fairly well in cooler climates with wet winters, combining the moisture resistance of W. robusta and the cold hardiness of W. filifera. Areas such as coastal Oregon and Washington states might be good places to try this hybrid, but don’t expect too much cold resistance. 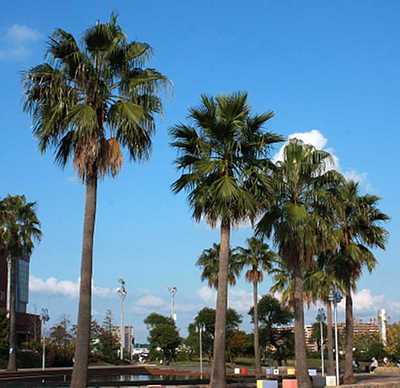 Washingtonia robusta is a popular tree for public spaces in Japan these days. These trees are growing in a mall parking lot in Fukuoka, Japan. In terms of the USDA cold hardiness zone system, I would rate W. robusta a solid zone 9 plant, more marginal in zone 8b, and risky in zone 8a, at least in the eastern USA. You can extend this range if you protect in winter, but given the size of these trees and their growth rate, protective measures will become a difficult task in short order. In the Pacific northwest, the wetter regions of zone 9 are probably out for this species. In more humid climates expect damage to the fronds when temperatures go below -4 C (~25 F). It is said that in low humidity the fronds are hardy down to -5 C (23 F). Regardless, as long as the crown remains alive, trees will quickly recover over summer especially if temperatures are high. This palm is also very heat tolerant, taking well over 40 C in stride. In general W. robusta is very easy in the right climate, in fact it grows too well in many cases. It can grow in almost any soil type as long as it isn’t actually soggy – clay, loam, or sand – and is tolerant of a wide range in pH as well, optimally not too acidic, but able to grow in extremely alkaline soils. It has a high tolerance for salt, and so is a good choice for planting near coastlines. It also is very wind resistant, even tall specimens. Fertilizer can be given if trees are planted in poor, sandy soils, but be careful not to overdo it or you will have a giant on your hands quickly. Older trees are usually resistant to disease, however young trunkless plants are susceptible to rots, in particular fusarium wilt, caused by the fungus Fusarium oxysporum (which can effect adults as well). The petioles of Washingtonia robusta are armed with rows of formidable hooked spines, making pruning a more difficult job. With many positive attributes, what negatives are there to mention about this palm? As said earlier, it is a potential invasive pest. This isn’t its worst feature however. Oddly enough, the speed at which this palm reaches lofty heights is its ultimate doom as a common lawn specimen. 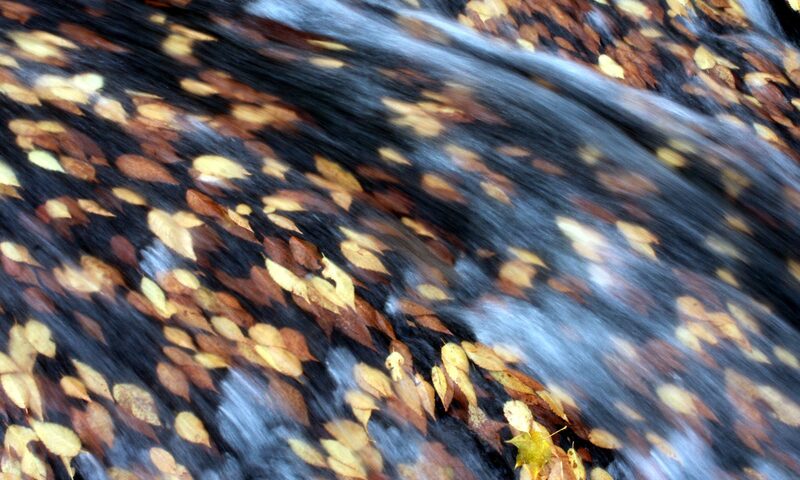 While some people like the skirt or petticoat of dead fronds, most folks don’t. When a tree is fairly short it is easy enough to remove old fronds with a simple extendable ladder. However, once a tree gets taller than say around 7 meters (~25 feet), a professional tree pruner is needed to remove old fronds – something that needs to be done on at least a yearly basis. This of course is expensive, and if you have more than one tree it can become prohibitively so. That is why most residential trees retain their skirt until it falls off naturally – a process that may take many years. Another negative are the super-sharp, hooked spines on the petioles. During pruning great care must be taken so as not to be hurt when cutting fronds off, or from falling fronds. Protective gloves are a must. Moreover, in high winds it is common for old fronds to dislodge and fall from great heights – not something you want to fall onto you. Also, just after flowering it is recommended the flower stalks are removed to prevent the myriad seeds from dispersing into the landscape. This too is costly to do, but luckily has to be done only once a year. Neglecting to remove flower stalks most certainly will result in volunteers showing up near the parent tree. If the conditions are right large “lawns” of seedlings can result, and will require removal before they begin to get big (something they do very quickly). A dream palm or dreaded weed? Which one you’ll have to decide for yourself. Regardless, the Mexican fan palm is guaranteed a place in private and public spaces for years to come. Is there any way to prevent these palms from fruiting? The berries are becoming a point of contention with the neighbor next door. The only proven way is to cut the flower stalks before the seed matures – a difficult thing to do on tall specimens. This is one reason why this palm has fallen out of favor as a street tree in many places. Yes, it is fast growing, but at a price. Do Mexican Fan palms grow faster/taller if pruned regularly vs being left alone allowing them to form a skirt. I have Mexican palms that are exceedingly tall, used to have straight trunks but are now curved. Do they represent a danger of falling over now? Very unlikely. I’ve never seen one taken out even by a hurricane. Of course the falling fronds can be a real hazard, regardless of what height they fall from. The curving of the trunks is normal for this species once it gets above 40 feet or so. A neighbor has a forest, over 100, of mexican palms . Some had the skirts trimmed up to 9 feet off the ground, New ones have grown in the last 10 years and these have never been trimmed. Needless to say this is a fire hazard plus a haven for rats. Is there a law in California prohibiting this or at least a code for trimming the skirts to a certain height off the ground? They are letting new ones grow from the seeds and are doing nothing to cut these off so they can’t mature. We as neighbors need to know if there is anything lawful to stop this. With our weather and our fire season coming we hold our breaths each year that these trees don’t catch fire. Is there nothing to prevent these people from letting these trees to multiply? Hopefully California has some law about this problem. I am not aware of any state level regulation about maintaining palm trees in California. Your best chance is to check with the local government to see if there are ordinances that might address this. Another issue is how the land is zoned. I suspect that if the trees are not posing any immediate threat to adjacent land owners or public roads, the land owner is with their rights to grow the palms as they wish. On the other hand I can understand your concern. Anyone who has seen a large palm removed can attest to the amazing number of rodents, reptiles, and insects just one tree can house. Good luck! Some municipalities in California now have fire-prevention codes that require palms to be trimmed. Are there any pre or post emergents that we can control the seedlings with ? Not to my knowledge. Mechanical removal of seedlings shortly after germination is effective, but you have to get them before they grow too large. Once they have well developed leaves you can try various herbicides, though I imagine this could lead to a war of attrition. The best way to control seedlings is to remove the flower heads once they have fully grown. Of course palms in nearby areas can still spread seed to your area. This is a frustration situation, but one of the problems of growing this species, and apparently W. filifera as well. I’ve seen the same problem with Sabal palmetto in Florida, especially when underplanted with low growing juniper – tons of seedlings coming up every year. How many inflorescences does a Skyduster typically produce when in flower? I’m looking at a group of them on a construction site and each has got 10-12 inflorescences, which seems a lot to me. I’ve never thought to count them, but I’ve seen many on healthy trees – so your situation doesn’t seem unusual. Regardless, each one produces tons of seed, so the only effective way of controlling seedlings is by cutting the inflorescences well in advance of the seed maturing. Don’t you love how here in Japan they prop them up with those silly poles and then leave them there for 20 years? Yes, some things in Japan can be rather silly… it seems that nobody trusts root strength here. I very recently bought a house in the San Francisco Bay Area with two Mexican fan plans in the back. I believe the trees are about 100 years old and were given as a wedding gift to previous owners. How long do they live? I’m unsure, but it seems likely they won’t live much past 100-150 years, depending the tree’s health of course (based on trees planted back in the 1800’s). I’m afraid I can’t give any advise about trimming these beyond a certain point. They are best pruned with a crane. I’ve pruned them with an extension ladder in Florida, and frankly the experience was not fun. In time the petiole bases will fall off by themselves, as will the dead fronds – eventually. Best bet – hire a professional to handle them as often as you can afford. I got on a ladder and removed old growth from the inside top of one and it popped right out..
Chuck, sorry to say it doesn’t sound good for your palm. The recommended procedure after severe frond die off is to clean the crown of any dead or rotting material and then to soak the entire crown with a copper base fungicide. This process should be done again a week and a half later, but not repeated after that since copper can cause toxic effects to the palm at higher rates. This should be done before the warm weather hits, so for your area around March. I’d still inspect the crown to see if it is spongy feeling or if there are any bad smells (both indicating rot). If you are determined to give the tree a shot, remove all dead material from the crown, and blast it fully clean with a strong water stream of any loose material. Then do the copper fungicide trick and see what happens. it will take for these palms to achieve that? I have no idea Robert. Given that this species has taken well to the deserts of Arizona, perhaps it is a phreatophyte (W. filifera is for sure). Given the speed at which this species grows, I’d guess it could cover that distance with a few seasons. Are your palms showing signs of distress from the drought? of seeing them tower. Thank you so much. Very interesting site with good information. On a mature Mex fan palm (approx 50 to 60 ft tall) about how many fronds are produced each year (inland NE Orange County CA) and how long does a frond live before turning brown and becoming part of the skirt? Can one estimate how long it has been since a palm has been trimmed by estimating the length of the skirt? 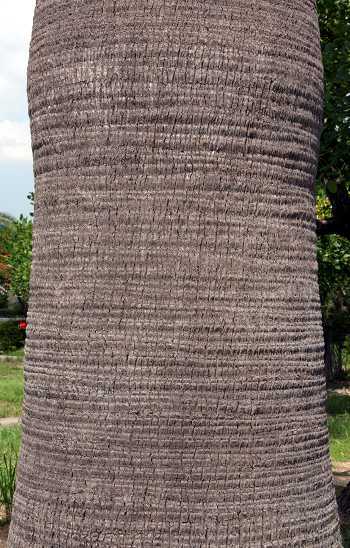 Also, in drought conditions as we have been experiencing for the past few years, does the skirt help insulate/protect the top portion of the tree promoting better health? I have heard that turning off the water to Mexican Fan Palms will slow the growth in height which is what I want. How old should they be before you do this without harming the plant and should it be done gradually? I live in Phoenix. Since these palms have naturalized in many parts of the southwestern deserts, I would imagine they can take pretty severe drought once established. So, the only answer I can give is wait for them to fully establish and then back off on the water. I’d choose the cooler months to do this, so maybe start in the fall. If they look really bad once things heat up again, you can give them water as needed. Of course your success could also be site specific – some places may not suitable for this species to grow without assistance. I don’t think the seeds themselves are edible, but the thin fruit is said to be. 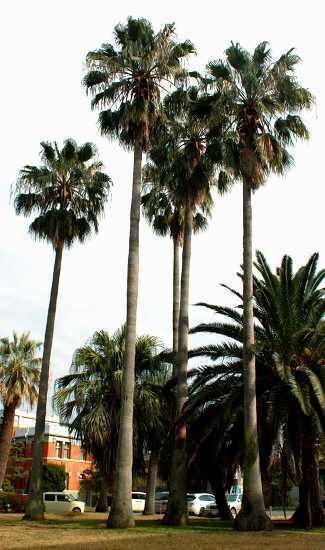 Washingtonia filifera was used in the past by some native peoples as a food. I can’t imagine you’d get much satisfaction from either palm fruit however – better to stay with the old reliables, the jelly palms (Butia sp.) and the date palms (Phoenix sp.) for tasty fruit. I just bought a house in Arizona on a lake that is ringed with beautiful Mexican Fan Palms. Some of the trees make a sharp bend while growing and then grow straight up again…sometimes low on the tree and sometimes quite high up (60 year old trees) Looks pretty but Do you know what causes some to bend sharply while growing? almost all the palms went down within a few hours and I cannot explain why…..